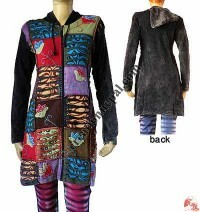 Colorful ribbed cotton, stretchy cotton and woven cotton are turned into beautiful long coats with hand embroidery art work, rich patch work, stone wash, razor-cuts, block print and hand painting, which are available at wholesale price at Creation Nepal. 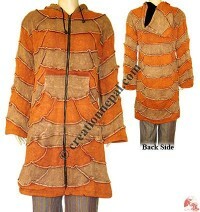 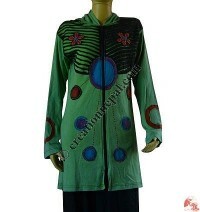 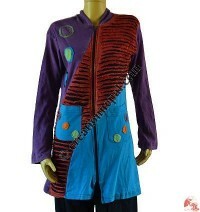 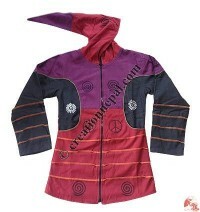 Creation Nepal offers fashionable and unique long coats at wholesale price. 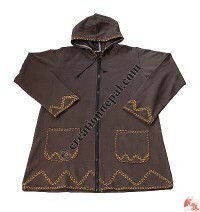 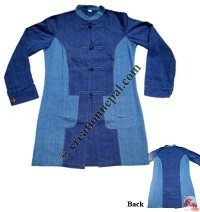 We offers wide range of Nepalese handmade long costs like flower emb fleece long coat, cotton hooded long coat, embroidered stone wash long coat, circles patch hand emb rib long jacket, flowers and razor-cut rib long jacket, circles and razor-cut rib long jacket, swirls and razor-cut rib long jacket, shama cotton long jacket, silk full-embroidery ladies coat, shyama cross zip long jacket, patch-work design long rib jacket, ribbed cotton hooded long coat, rib tie-dye patch long jacket, fine cotton joined long jacket, decorated patch work long jacket, razor cut brushed long jacket, cotton-fleece long jacket etc. 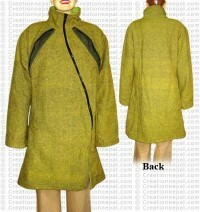 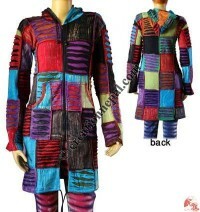 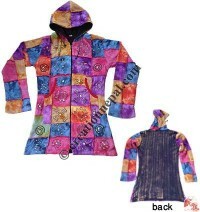 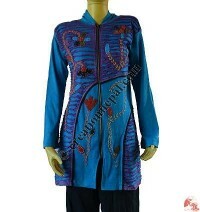 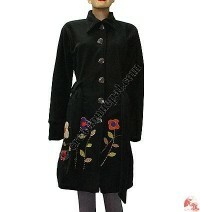 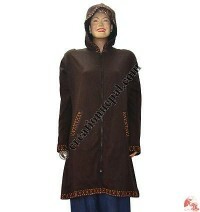 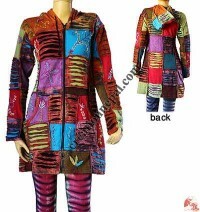 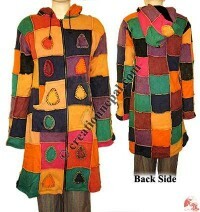 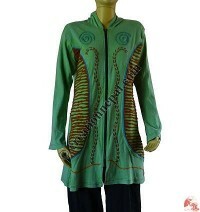 all long coats and jackets are supplied at wholesale price.